Dr. Robin Cook, the international best-selling author, has penned his another gripping medical thriller, Host that unfolds the story around two fourth year medical students discover that in their hospital some patients are going into coma due to anesthetic complications and then they need to figure out who or why they are behind such inhumane activity that are taking away innocent patients' lives, before they jeopardize their medical scholarship or rest assured their precious lives. The explosive new thriller from New York Times–bestselling author and master of the medical thriller, Robin Cook, takes readers back to where the genre began, with Coma: what happens when innocent hospital patients are used as medical “incubators” against their will. 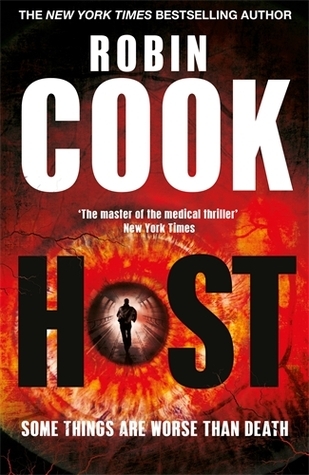 Even the synopsis says that the book is a copy of Cook's sensational debut medical thriller, Coma. Who would have dared to thought when you are buying the book, that the author will not write a new story instead explore Coma in the best way possible as per him. Well it should have been the sequel to the debut book. I'm not ranting just because the author have copied his first book into this new one, but I'm screaming that I've wasted my money on the author whom I used to think as one of my favorite authors, just because of the way he penned the stories with so much suspense and thrill. Neither suspense nor thrill greeted me in this 400 pages long book and I'm terribly dissapointed. Well I'm so dissapointed that I cannot even write a formal summary of the story. I think after this review I shall write a hate fan mail to my favorite author, Dr. Cook. I mean why did you do this? Where is your Cook-styled flair that will arouse the minds of the readers with a new kind of energy to jump inside the story? Never mind, it seems, Dr. Cook has lost his touch and charm. 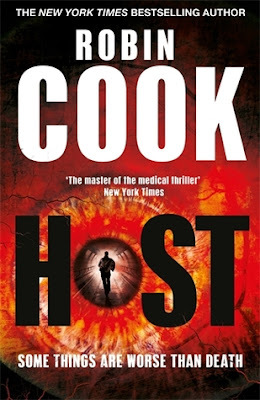 Even Cell, the book published right before Host, enthralled me and made me fall for Dr. Cook all over again. The problem is with the readers like us, who are a die-hard fan of a particular author, is that they start expecting too much and one day the author when the author could deliver his best, the readers like those will scream and rant at the top of their voices. The story is tad boring from the very first page, the tension was missing from the very first page itself. The opening was not good enough I feel. The writing is okay but not that brilliant or fascinating. The narrative, yawn, is IDK what was that. The prose is very unlike Cook's previous books, not good I mean to say. The pacing is very slow, as there is not much layers to explore in this story. The passion and zeal of the author were itself missing from the writing style of the author and that really put me off. Where's adrenaline rush or the deadly adventure or chase to find out the truth, even though there was a bit of it, but the author could not project it, like he did in previous books. In a nutshell, I would suggest the regular Cook fans to not to waste their money on this book and for the non-Cook fans, I would also advise them to skip as there is nothing to hold on to while moving through the story. Verdict: Bland, boring and there is no thrill! Courtesy: I hate this part for today!